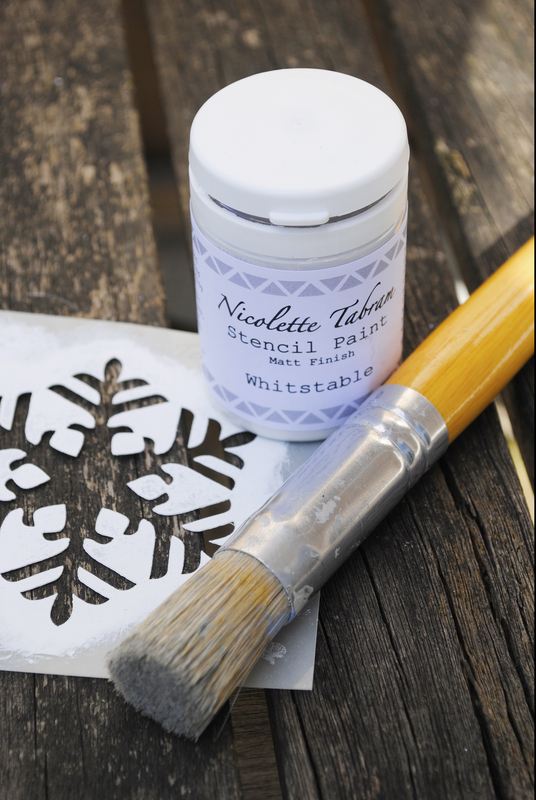 In my latest project for Reloved Magazine, I have stencilled some galvanised metal containers with my Whitstable Stencil Paint. 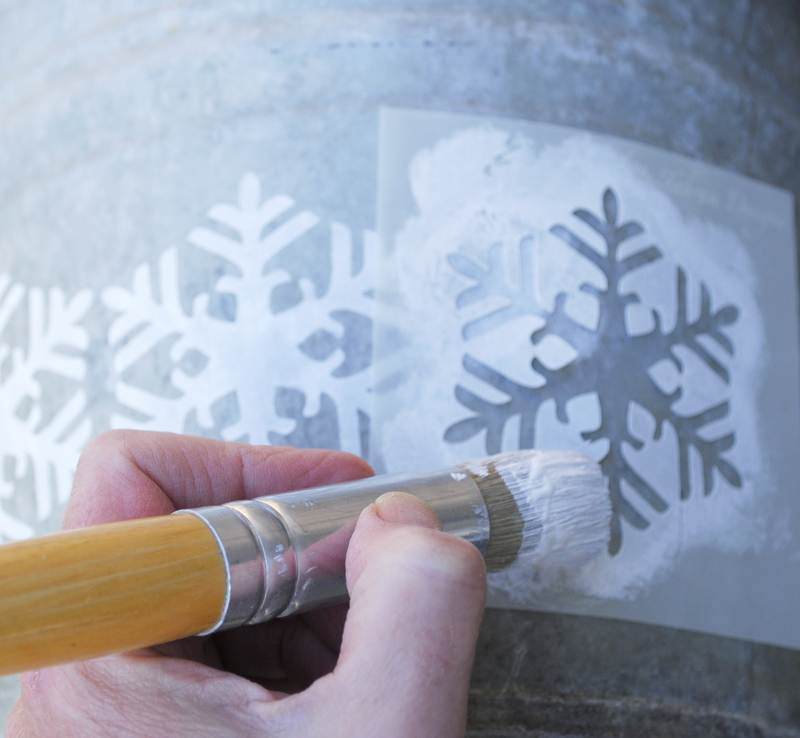 I am always trying to convince people that stencilling is really quick and easy. Each of these containers took a matter of minutes. 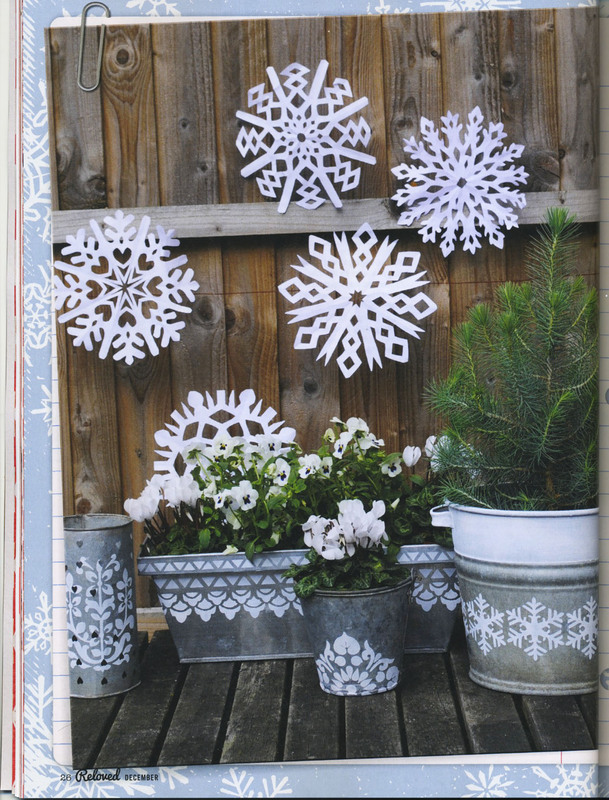 You can pick up old or new metal containers really cheaply and filled with simple white flowers they make gorgeous gifts at a snip of what it would cost to buy something similar. 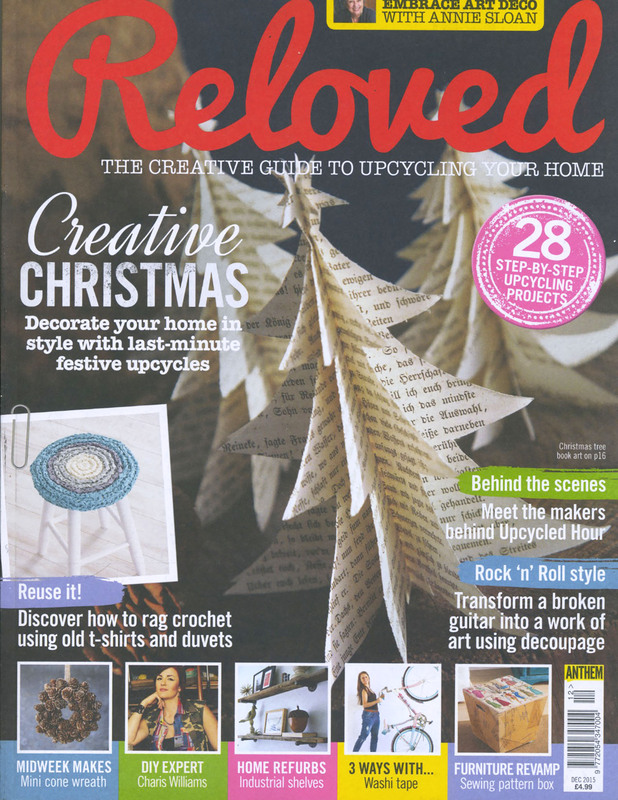 The December issue of Reloved is out now if you want a step by step account of how to do this yourself.